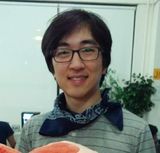 Sung, also known as Sung666 or SUNG475, is a Melee Marth main from Coppell, Texas who currently resides in Los Angeles, California. He was formerly ranked 79th on the 2015 SSBMRank and 21st on the SoCal Melee Power Rankings. He has wins over SFAT, Lucky, S2J, MacD, Duck, Shroomed, MikeHaze, and Eddy Mexico. This page was last edited on May 6, 2017, at 10:15.